Toilet is that mechanical marvel in our home that is used on a daily basis yet overlooked all the time. We tend to take it for granted and as a result we forget to check its maintenance issues regularly. The result is in-numerous problems that poke their heads out all of a sudden. Toilet flushing problems can be of varied types and they have been discussed here so that next time you go to the toilet, you make sure that your toilet works perfectly well. Following are the common five flush problems of toilet that most households face. Sometimes we find that the toilet won’t flush at all. The flush lever is pushed nothing happens. Sometimes the lever is pushed the toilet tank flapper opens and water enters the bowl but does not drain out the waste and remains there. This could happen due to a number of reasons. It could be because a valve supplying water to the toilet has been closed, water pressure has gone down or there was water in the toilet tank. Sometimes the toilet drain gets blocked which hinders the drainage of water. All modern toilets receive a lot of human waste, urine and feces. If the toilet is backing up it means toilet has gone clogged. A clogged up Toilet can be a real problem. The reason for such a problem could be that the soil stack or the sewer line has got clogged. There might be a child’s toy or a dog’s bone or other solid objects stuck just below the toilet. If the toilets of the rest of the buildings are working fine but only one is flushing poorly, then it might be because of a local blockage close to your toilet. Some toilets flush poorly or flush slowly. Modern toilets are designed as low water consumption toilets that use 1.6 gallons or 6 liters of water per flush. This has been done to reduce water consumption in buildings. If the toilet fills and toilet valve are not adjusted and adapted to the new design the toilets may flush problem. There also might be times when the toilet flushes but empties too slowly or incompletely. 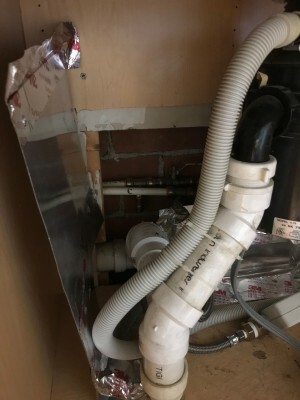 This may be because of a number of reasons and they are- either there is waste that has blocked the pipe or the plumbing vent may be partially blocked. Another reason which some people have faced with is the low height of the water tank for aesthetic concerns. This leads to low water pressure and thus flushes slowly. Running toilet problem is another of the issues that some people have to face. This could be if a flush valve in a gravity flow toilet leaks. This will lead to endless running of water through the toilet. 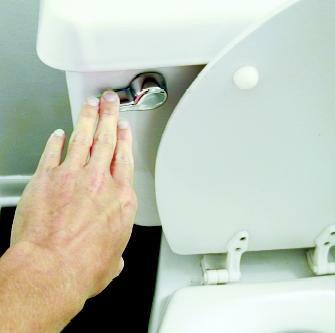 One must also check the floating arm of the flush if it is going up far as it should to close the bottom seal. Corrosion or cracks in the shut off valve can also lead to intermittent running of toilet. You should also keep an eye on the ball and float mechanisms. If they get damaged, curved in the wrong way or if parts are missing then it is time to replace them. Sometimes we find that the toilet flushes water with a powerful of gush of stream but the water flows only for a few minutes resulting in impartial cleaning. This may occur due to the flapper valve that has got waterlogged and is dropping too fast. If the flapper valve is not staying up until about 80 percent or more of the water it has drained from the tank. If it drops too sooner, you need to replace your flapper. The above points discussed are the prime problems that every toilets counter at some point of time and you need to be alert about them before you face a major trouble. Being careful about these problems will help you to keep unhealthy situations at bay! which carries plenty of useful data, thanks for providing these kinds of information.